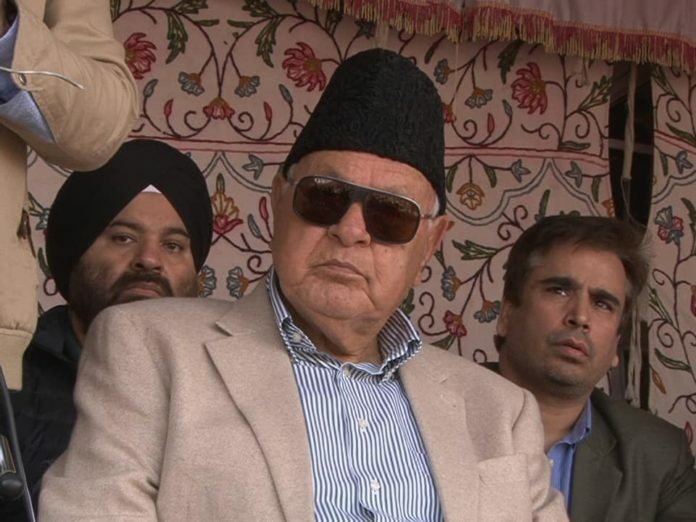 Jammu and Kashmir National Conference President Dr. Farooq Abdullah on Tuesday asserted that Narendra Modi led BJP government has miserably failed to deliver on the promises it made during the election campaign of 2014 saying that a failed government and a failed prime minister needs to be shown the door. 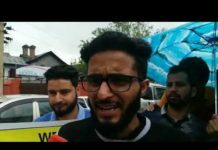 He also accused BJP of staging drama of attack on Jaish-e-Mohammad camp in Balakot. He mocked the BJP saying “only trees” fell during the air strikes. 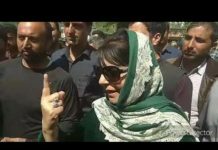 Dr Farooq in a frontal attack on BJP run central government said that the PM Modi squandered the mandate of the people by its imprudent policies. “We in parliament knew that the government has failed to deliver on key issues that the country is facing, so they would create a war like situation in the country to divert the attention of people from the real issues affecting poor particularly farmers and the labor class,” he said. Party president while flaying the Modi led government for devaluing the institutions of the country by impeding their working. “The Modi government has tried to destroy the autonomy of RBI, and various other institutions. 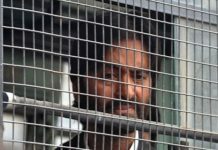 The autonomy of the institutions has been compromised,” he said adding that the Modi government and its ideologue RSS is sending a message that India is only for the adherents for a particular religion. Among others party vice president Omar Abdullah, party’s general secretary Haji Ali Muhammad Sagar, provincial president Nasir Aslam Wani, Chief Spokesperson Aga Syed Ruhullah Mehdi, Aga Syed Mahmood, Dr. Mohd Shafi, Prof Abdul Majeed Matto, Ali Muhammad Dar, Manzoor Wani , Haji Abdul Ahad Dar, Tanvir Sadiq, Shammi Oberoi.